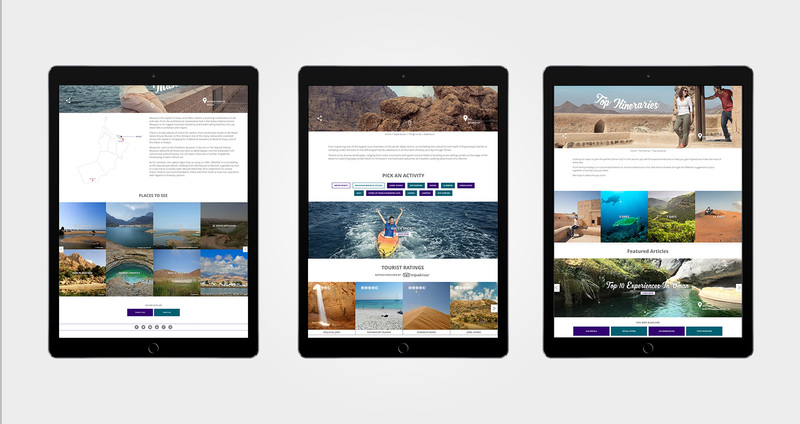 ExperienceOman.om was conceived from the need for a customer facing website that marketed Brand Oman to visitors and tourists. This 45+ page website is a comprehensive information guide and inspiration board for anyone wishing to visit the Sultanate of Oman, available in currently 6 languages. It’s the successful extension of Experience Oman into the digital sphere, after Zeenah first transitioned over 30+ social media channels on behalf of the Ministry of Tourism Oman.